Showers or thundershowers will occur particularly in the Northern, Eastern, North-central, Uva and Central provinces and in the Galle and Matara districts after 2.00p.m. Fairly heavy falls above 75 mm can be expected at some places. Showers or thundershowers will occur at several places in Sabaragamuwa province. Several spells of light showers will occur in Coastal areas of the Western and North-western provinces, according to the Meteorological Department. 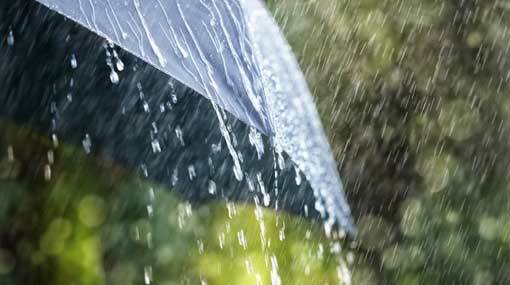 Showers or thundershowers will occur at several places in the sea areas extending from Puttalam to Matara via Colombo and Galle and the sea areas extending from Batticaloa to Mulaithivu. Winds will be south-westerly in direction in the sea area around the island. Wind speed will be 20-30 kmph. The sea area extending from Hambantota to Batticaloa via Pottuvil can be fairly rough at times as the wind speed can increase up to 40-45 kmph. Navel and fishing communities are also requested to be vigilant in this regards.